Leeds United's Kemar Roofe scores twice as Whites beat QPR in the Championship at Elland Road. 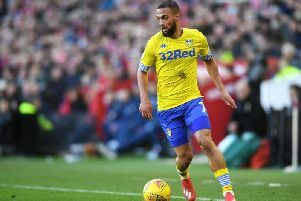 Leeds United defeated Queens Park Rangers 2-1 on Saturday afternoon as a Kemar Roofe penalty handed Marcelo Bielsa's men all three points at Elland Road. 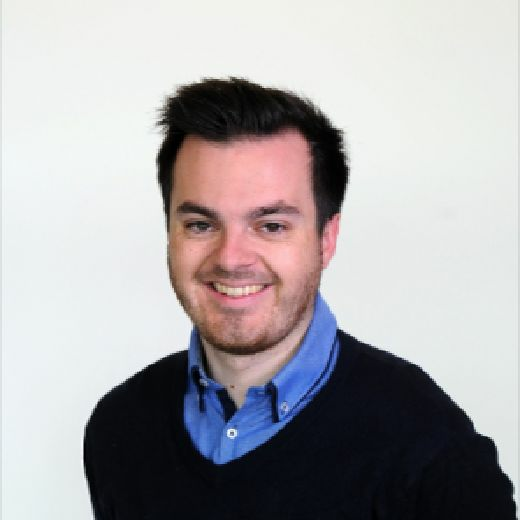 Marcelo Bielsa made two enforced changes for the visit of Steve McClaren's men as Liam Cooper and Stuart Dallas were ruled out until the New Year with injuries earlier this week. Jamie Shackleton was handed his first home league start at right-back as Samuel Saiz returned to the starting line-up for the first time since late October. United began the better of the two teams and it took Bielsa's men no time at all to open up the visitors. Pablo Hernandez cut inside and whipped an inviting ball into the box with Kemar Roofe met with a half-volley but the striker saw his effort flash past the wrong side of the post. Roofe again was involved minutes later as Gjanni Alioksi, who had been moved across to the right, delivered and again the forward was waiting to pounce but this time he failed to get anything on the ball as Joe Lumley collected in the Rs goal. Nahki Wells went close for the visitors with an effort that flew over the bar to remind United of the threat they posed on the counter attack. Roofe had another golden opportunity as the ball fell to him fortuitously inside the box as he met a deflected Mateusz Klich shot with another volley by Lumley matched it with a smart save low to his left. It was QPR though who broke the deadlock as Kalvin Phillips allowed an aimless ball over the top of the Whites defence to bounce. Luke Freeman was on hand to claim the loose pass as he prodded the ball past Pontus Jansson to find Nahki Wells. The striker drove into the Whites box to slot calmly past the onrushing Bailey Peacock-Farrell and stun Elland Road into silence. United pushed on but were lacking any cutting edge and failed to expose the Rs as the visitors sat in with two banks of four. Just as Bielsa's men looked to be heading into the break behind United levelled through Roofe. Samuel Saiz saw a shot blocked as Hernandez picked up the loose ball and prodded an effort into the area with the striker on hand to cushion home his ninth Championship goal of the season. Leeds continued where they left off after the break as Hernandez fired over the bar from inside the area following good work from Klich on the right. Just seven minutes after the break and United would have their lead. Roofe broke the offside trap to bring down the ball inside the box and Rs skipper Toni Leistner was judged to have used his arm to stop the striker with referee Peter Bankes pointing to the spot. It was the first penalty the Whites had received in 59 games as Roofe stepped up to send Lumley the wrong way and put Leeds ahead for the first time as the 25-year-old bagged his sixth goal in his last three appearances against QPR. Not content with the two Roofe went in search of another as he forced Lumley into action before Samuel Saiz picked him out inside the box but the Rs stopper did well to block his effort from a tight angle. QPR threatend with a rare attack as Angel Rangel was given the freedom of the left side of the pitch by United as he pulled a cross back across the box but goalscorer Wells fired over the bar when he should have done better. The visitors pressed on in search of an equaliser as Bielsa responded by introduced central defender Aapo Halme from the bench in the closing stages. McClaren's men had a claim for a penalty turned down as Jansson brought down substitute Matt Smith inside the box as the pair battled to win the ball in the air. Jake Bidwell forced Peacock-Farrell into urgent action as the defender lifted a clever volley towards goal with the Whites stopper tipped behind. It was as close as they would come though as United held on to claim all three points and remain second in the Championship hot on the tails of league leaders Norwich City. Leeds United starting XI: Peacock-Farrell, Shackleton, Douglas, Jansson, Phillips, Forshaw, Klich, Alioski, Hernandez (c), Saiz, Roofe. Subs: Huffer, Halme, Clarke, Davis, Baker, Harrison, Bamford. QPR starting XI: Lumley, Rangel, Leistner, Lynch, Bidwell, Wszolek, Cameron, Luongo, Freeman, Eze, Wells. Subs: Ingram, Furlong, Cousins, Scowen, Hemed, Smith, Osayi-Samuel.